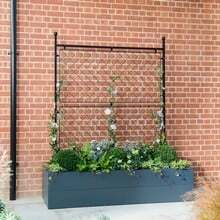 The Harrod Trellis Growing Frames with 25mm square posts is a robust yet elegant framework, perfect for instant screening to enclose or divide different garden areas and also ideal in a planter as a growing support for plants. These trellis frames are endorsed by the RHS and offer a superior alternative to wooden trellis coming with a 10 year framework guarantee. Carefully engineered using precision resistance welding to create the 3mm steel wire mesh inside the 8mm steel wire frame. 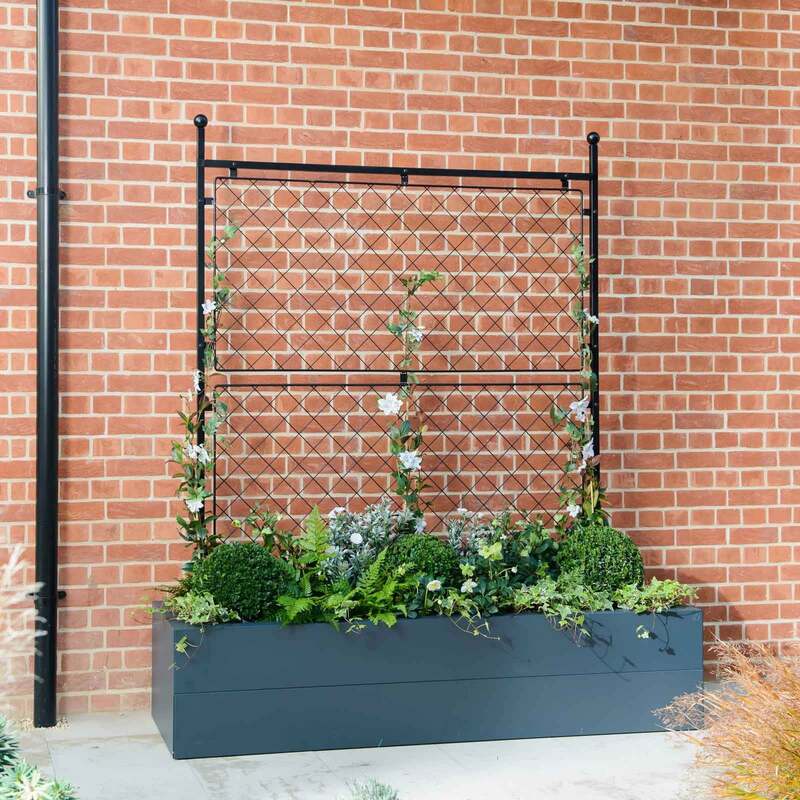 All parts are zinc plated and high temperature powder coated matt black for a long-lasting weatherproof finish. 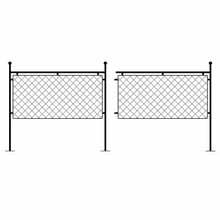 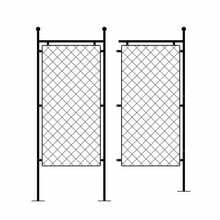 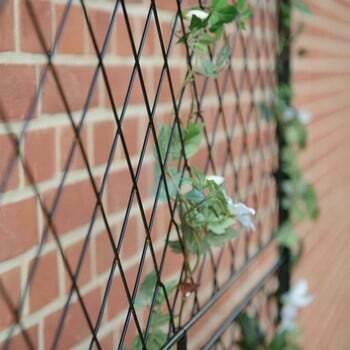 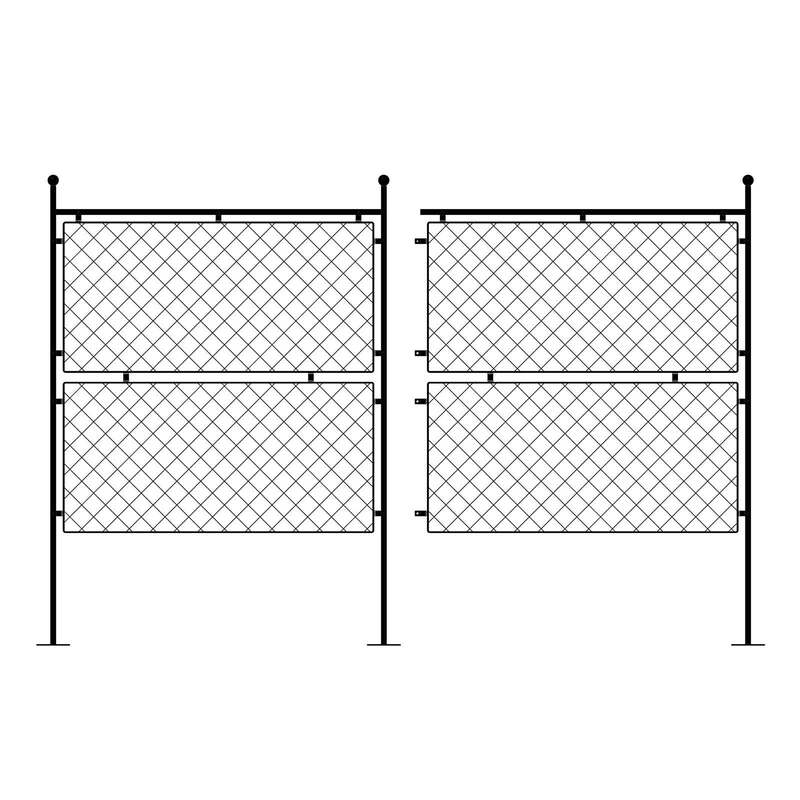 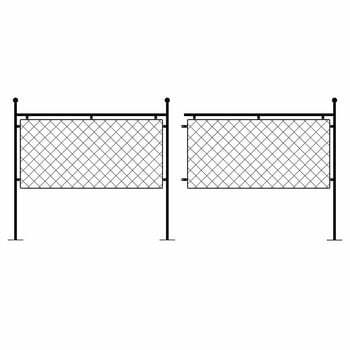 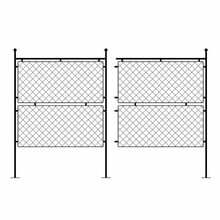 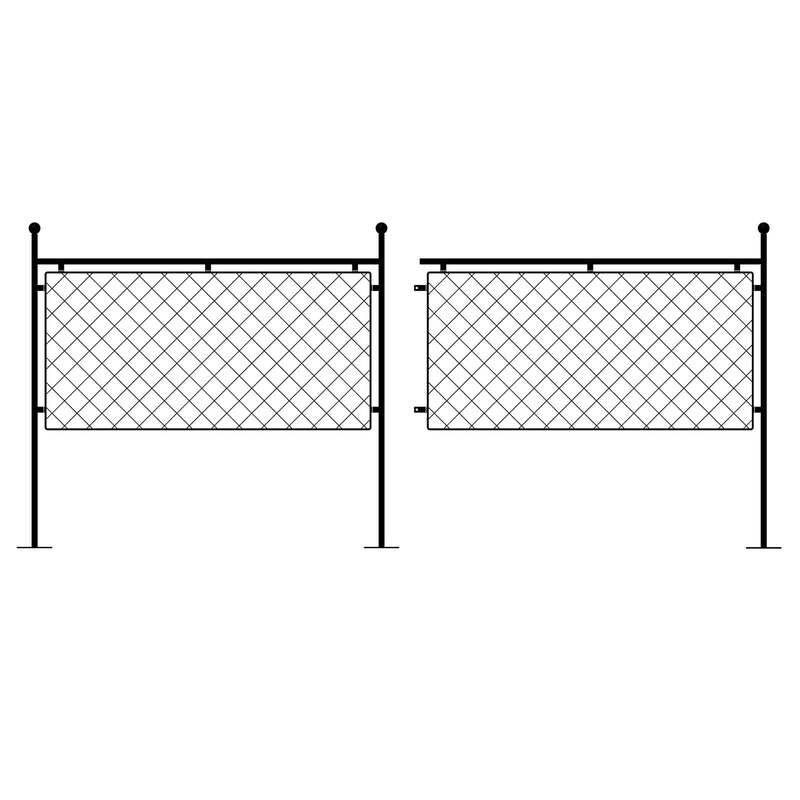 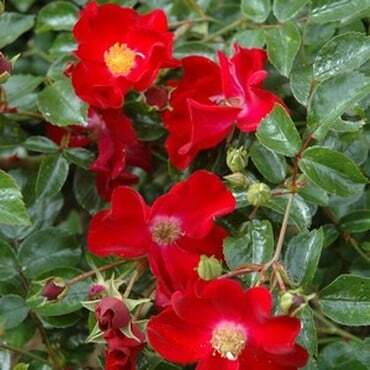 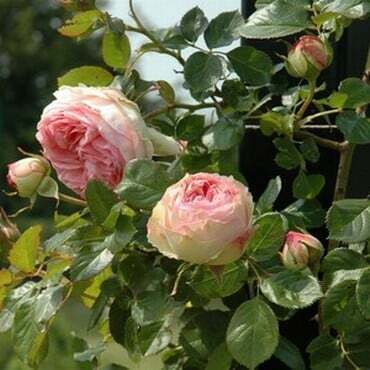 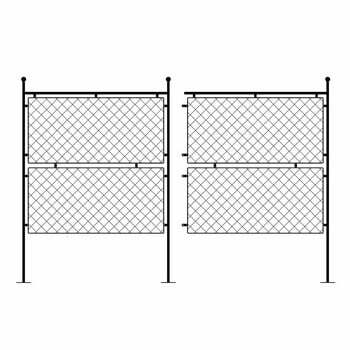 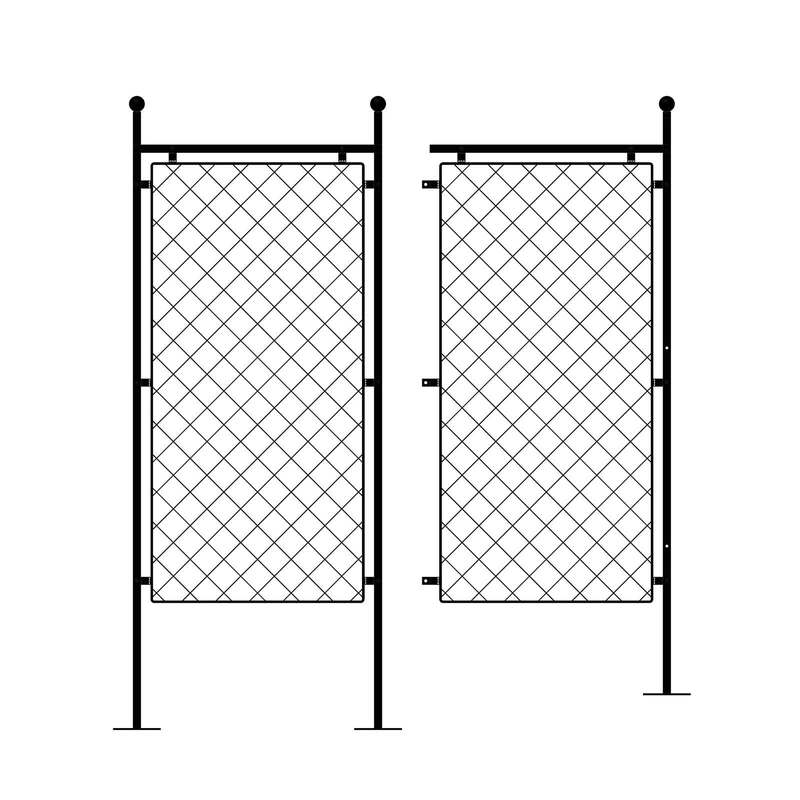 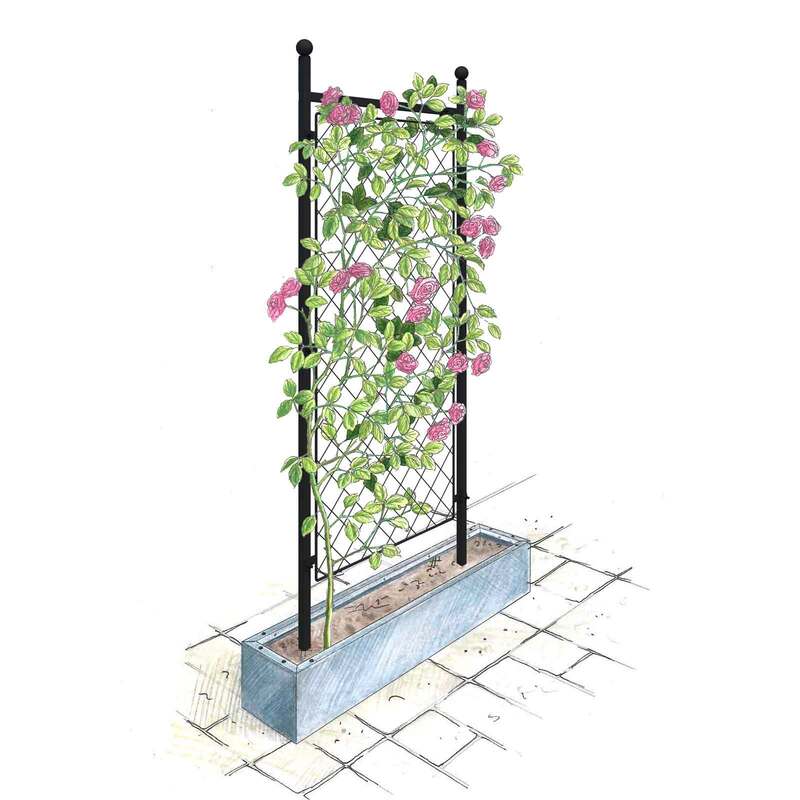 Each trellis panel is fixed to matching steel posts using discreet mounting brackets. 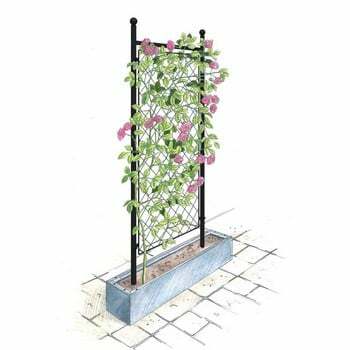 The posts are made from 25mm box section steel topped with a decorative ball finial. The posts are designed to go 40cm into the ground, but can also be supplied with welded foot plates to sit above ground inside a trough for stability or screwed to decking. 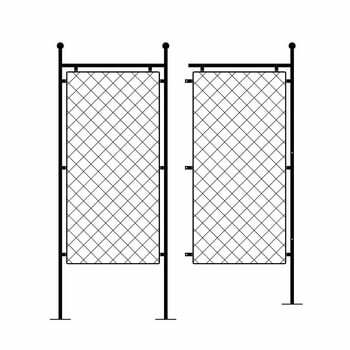 Portrait Starter Kit - Supplied as 1 panel and 2 posts measuring 76cm wide x 200cm high above ground - bottom of lowest panel is 39.5cm from the ground. 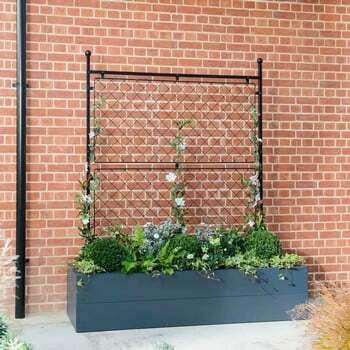 Landscape Starter Kit - Supplied as 1 panel and 2 posts measuring 147cm wide x 108cm high above ground - bottom of panel is 19.4cm from the ground. 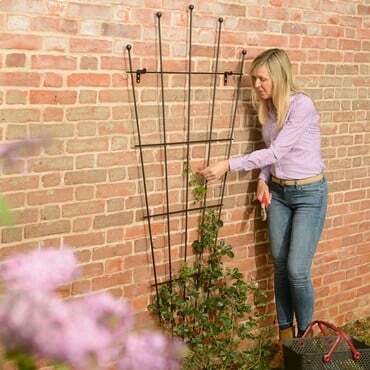 All extension kits include the panels which are linked to the starter kit post and then 1 post to continue the trellis growing frame. 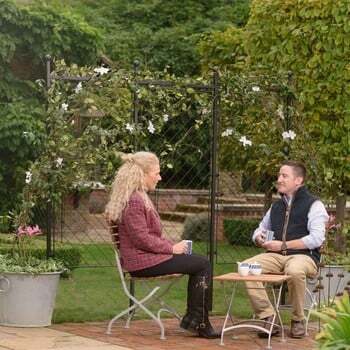 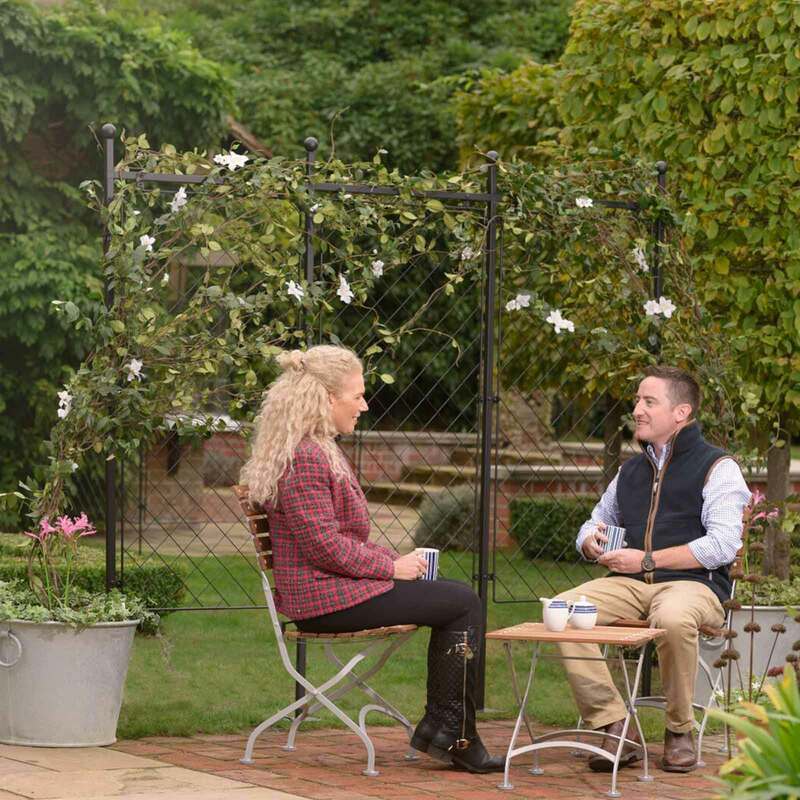 If you want to create a corner with the trellis to enclose an area, please contact our Made to Measure Team who will be able to help you with your bespoke project. Call 0333 400 1444, email madetomeasure@harrod.uk.com or visit our online quotation form.